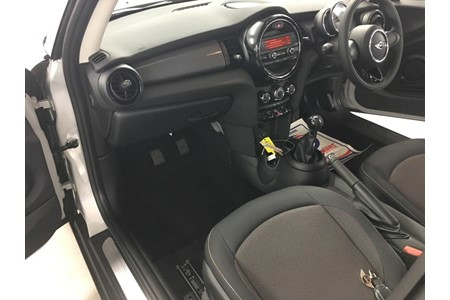 He-Man Dual Controls on 02380 226952 or visit their website. 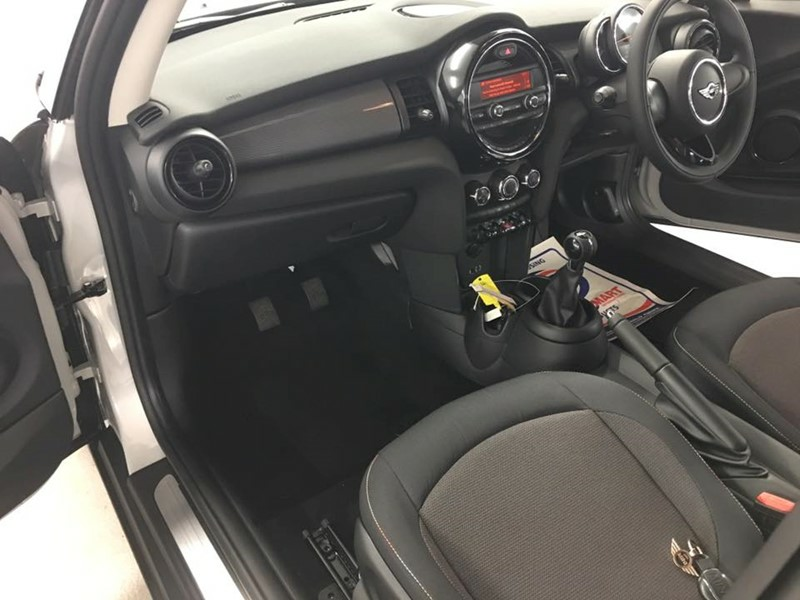 He-Man Dual Controls are dedicated designs and thoroughly tested. 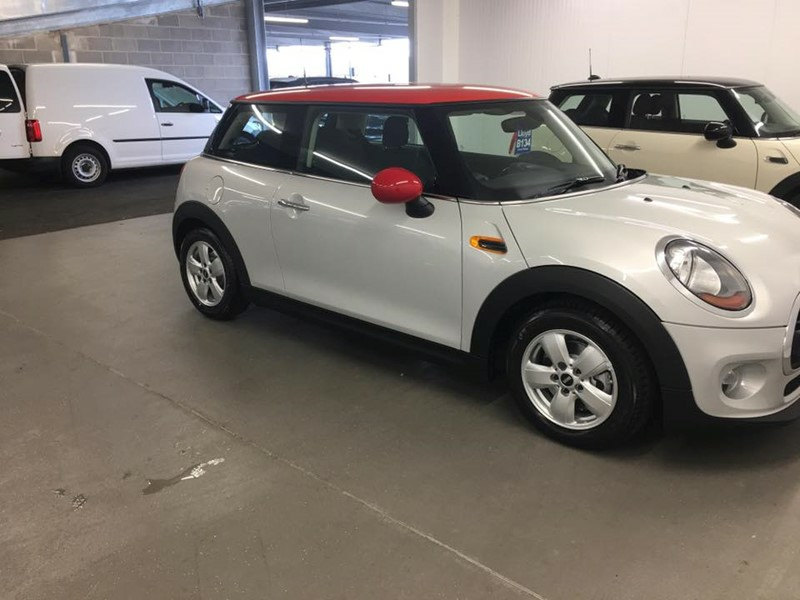 It is important for your own safety that of your pupils and the general public that you should always ensure the integrity and suitability of your controls by using only unmodified, guaranteed dual controls. A new He-Man Dual Control System installed for the first time in a car is guaranteed for as long as it remains in that vehicle, and that the simple maintenance procedures are carried out as detailed in the general factsheet which is supplied with every new dual controls system. The cables of a cable linked dual control system carry a 12 month warranty as this is their servicable lifetime. Please take care if employing other installers, the Dual Control can only work as well as it is installed. 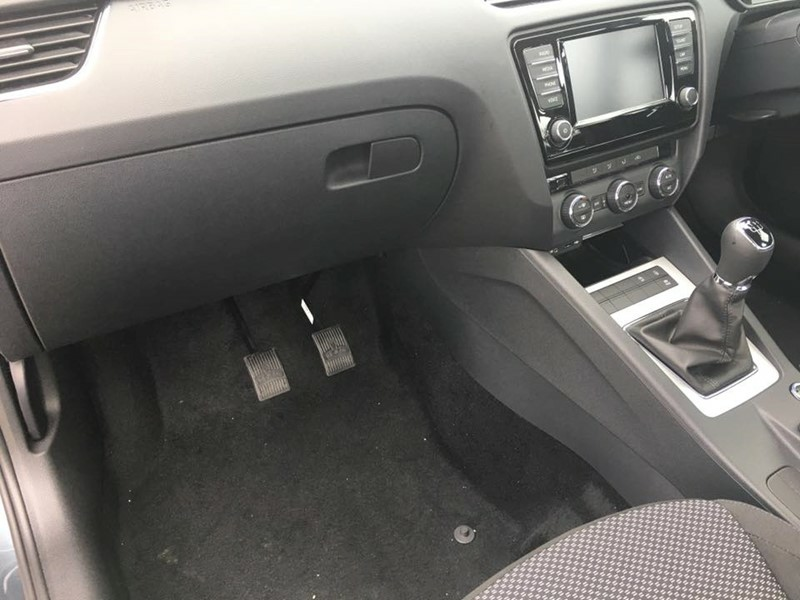 We often receive reports of controls that have been badly installed or even used or reconditioned parts being installed into cars. He-Man do not endorse or support any used or reconditioned Dual Controls or parts. 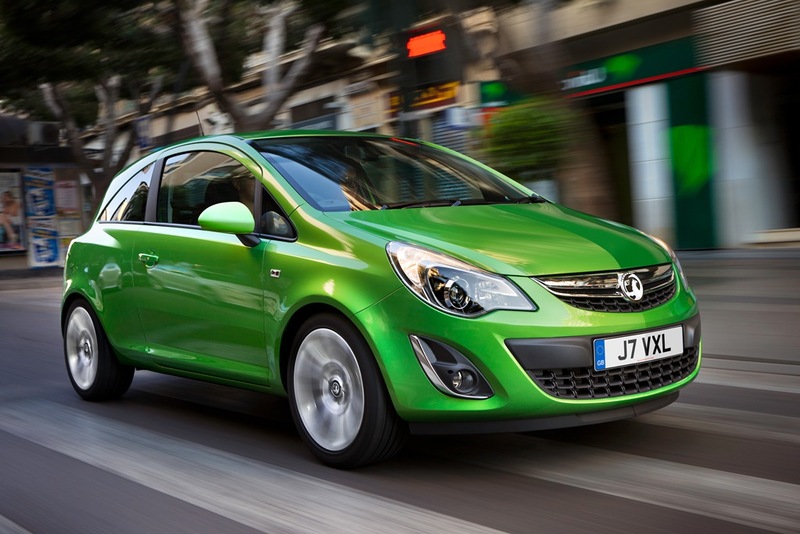 Dual Controls are safety critical; please ensure the safety of yourself, your pupils and your own vehicle. 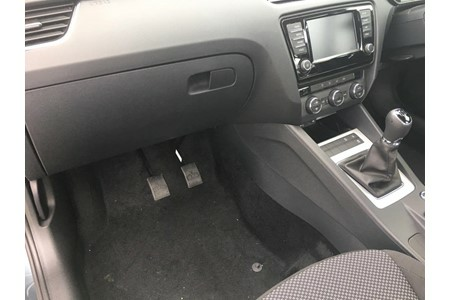 We do not recondition dual controls and no one is approved or qualified to do so. 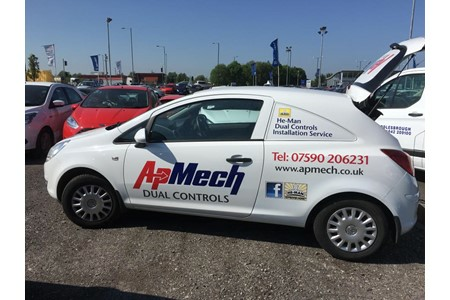 For dual control installations throughout the North East, Cumbria, County Durham, and North Yorkshire supported by Apmech dual controls certificate of installation for your insurance company if so required. 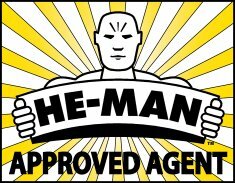 We Supply and Install He-Man Dual Controls Here at ApMech Dual Controls we are the ONLY registered agent of He-Man Dual Controls to supply and fit the He-Man product in the county's of Northumberland, Tyne & Wear, Cumbria, Tesside, County Durham, and North Yorkshire. 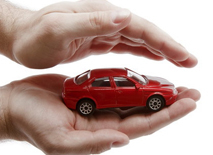 We cover cities, towns and also rural areas. 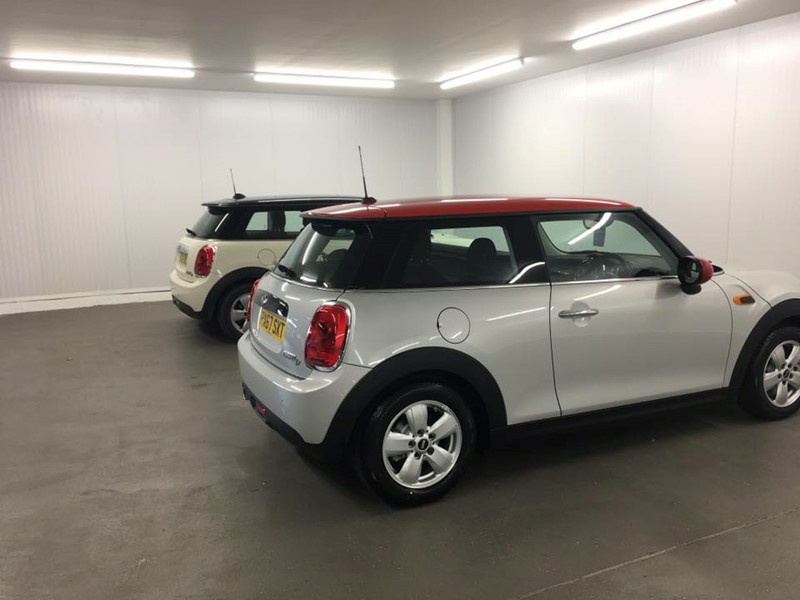 All of our work is backed by He-Man Dual Controls Ltd and is carried out to an extremely high standard, which complies fully to manufacturers recommendations. 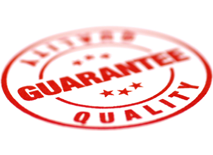 Our work is also fully guaranteed. 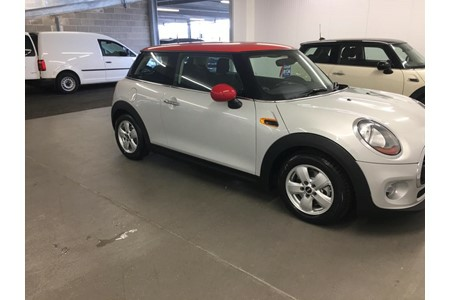 With over twenty five years of motor vehicle experience timed served motor mechanic / technician with leading dealer motor groups so you can be assured you will receive a very high standard in workmanship and customer care with The Installation of He-Man Dual Control systems to your motor vehicle. 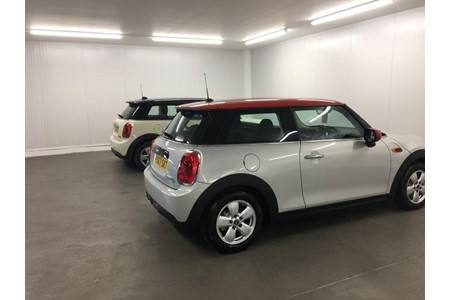 We consider ourselves to offer the best value dual controls service available, our partnership with He-Man Dual Controls Ltd allows us to offer the best price available in the supply and fiiting of He-Man Dual Control Systems. 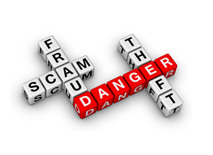 Please call 07590 206231 / 07563 391074 to find out how we can help you! 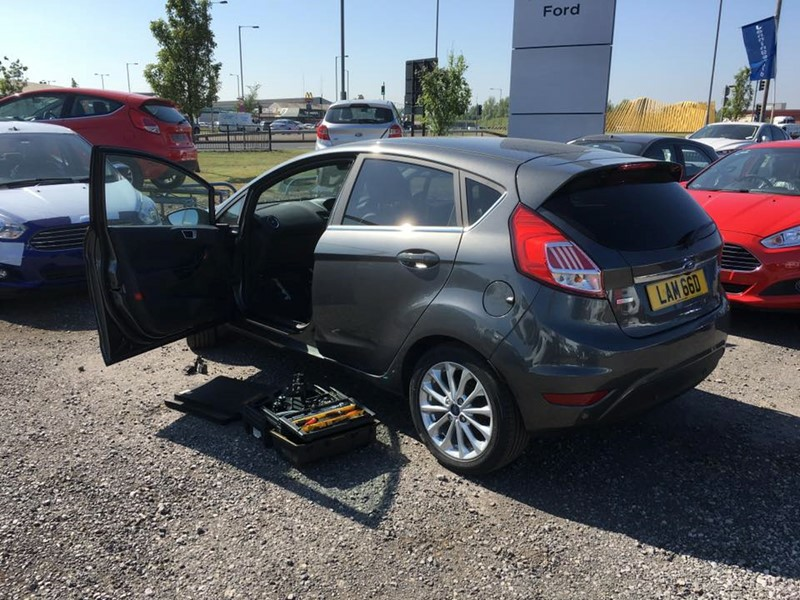 Providing a fully mobile fitting service of He-Man Dual Controls 8am to 10pm 7 days a week to suit our customers busy schedules. 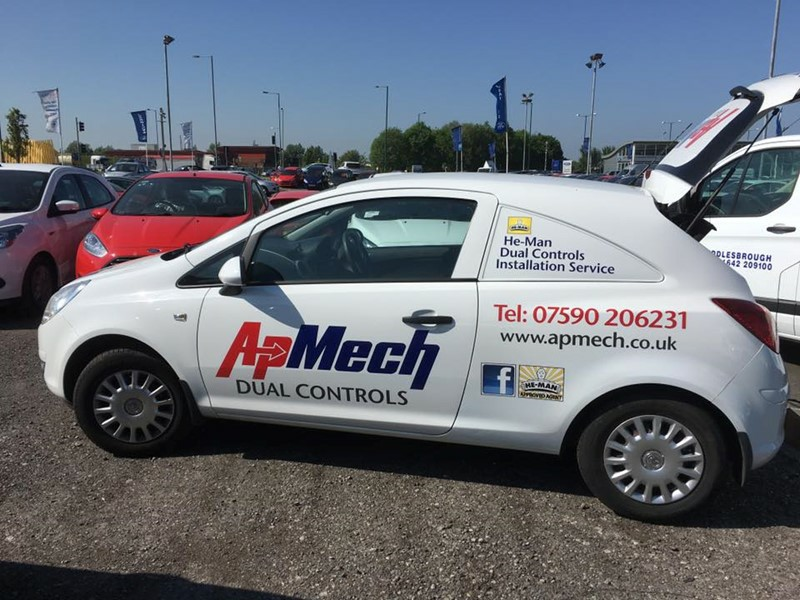 ApMech Dual Controls strive to be flexible around the needs of their customers. 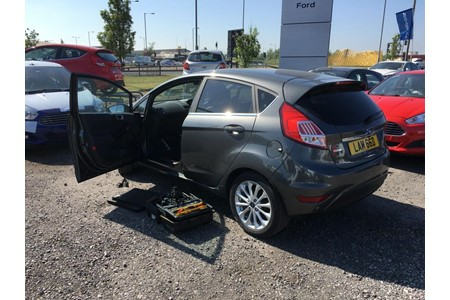 To make the transition of their new motor vehicle as quickly as possible, work can be carried out at your premises or supplying dealership if you so require. 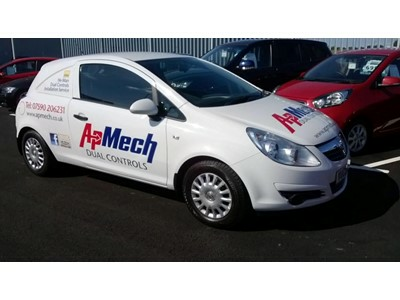 We are fully responsible for our work, and stand behind the operation of the He-Man Dual Control System in the motor vehicle..
He-Man dual controls supplied and fitted all across the North East, North Yorkshire and Cumbria from 8am to 8pm 7 days a week. We cover the North of England including Tyne & Wear, Northumberland, Cumbria and the surrounding area from our base in Country Durham. 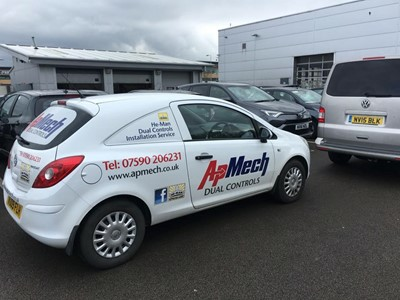 Massive thanks again Apmech, one phone call, next day job done been using apmech to supply and install dual controls for over 10 years and will use their services for another 10 a top notch bloke. 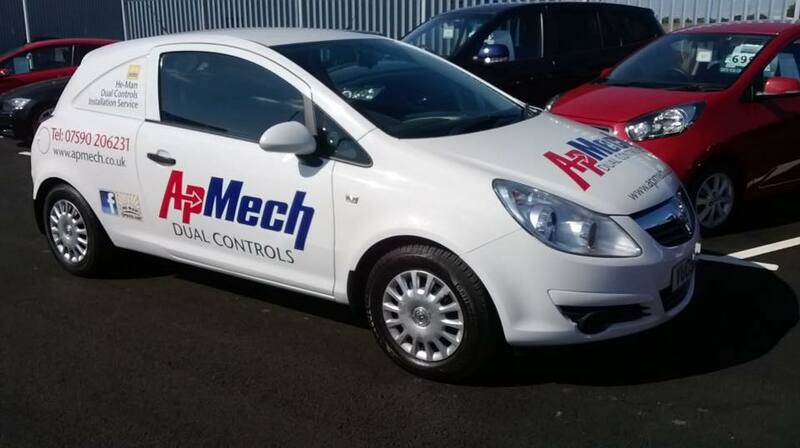 Welcome To ApMech Dual Controls; The Official He-Man Dual Control Agent for Tyne & Wear, Northumberland, Cumbria and the surrounding area.